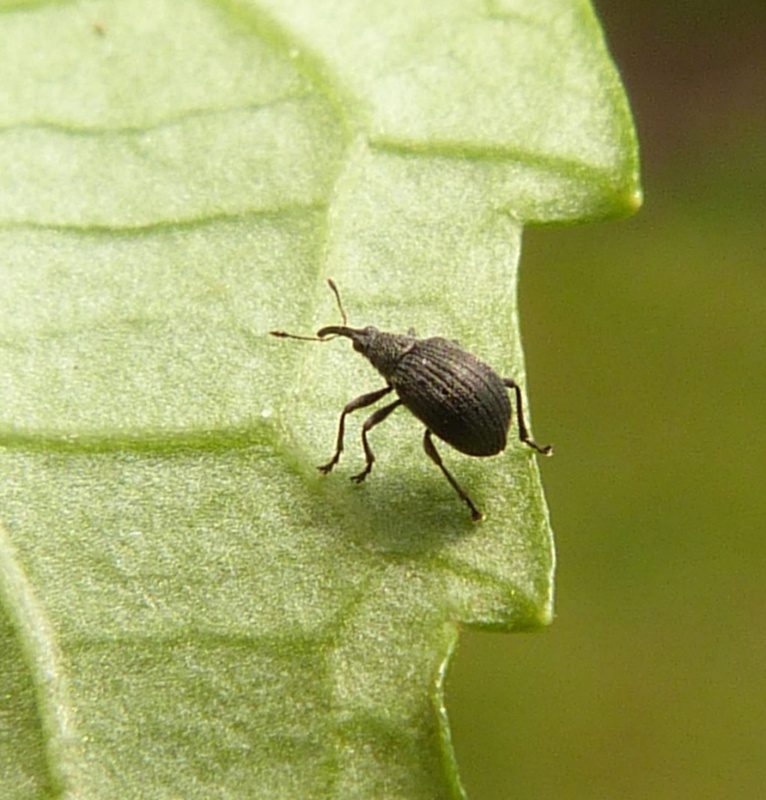 A small grey/black weevil length about 2.5 mm. Areas where the larval foodplants grow. Larvae feed within the flower buds of Meadow Vetchling (Lathyrus pratensis) and some Vetches of the Vicia family.